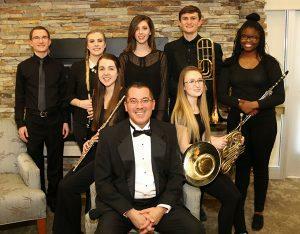 The Quincy Area Youth Orchestra joined QSOA in 1993. QAYO attracts junior and senior high school students from the tri-state area of Illinois, Iowa, and Missouri. QAYO rehearses weekly during the school year, mostly on Saturday mornings and Sunday afternoons. Tuition for the year is $60, with a discount for siblings. Tuition waivers are available for families with significant financial need. More detailed information may be found on the QAYO Brochure, or call 217-222-2856 or e-mail us at qsoa@adams.net. The audition date will be Sunday afternoon, October 7 at QND High School. Call 217-222-2856 by October 4th for an appointment time. 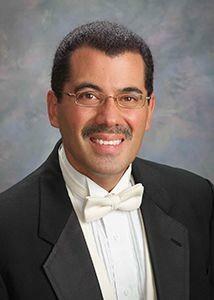 Late auditions may be scheduled directly with Dr. Cangro by calling 309-298-3114. All new and returning musicians must audition each year. Rehearsals begin on November 18, 2018. Please select audition materials by instrument below. Each download is a PDF file. Updated August 2018. 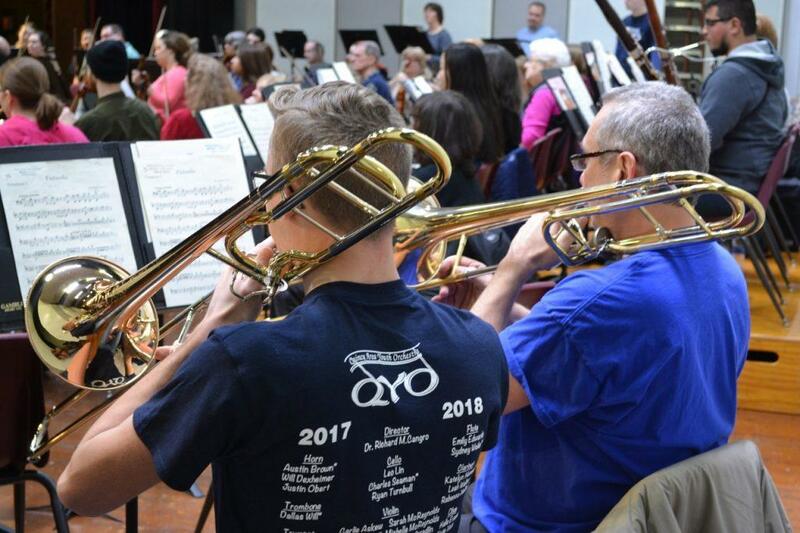 The QAYO rehearsing side-by-side with the Quincy Symphony Orchestra.